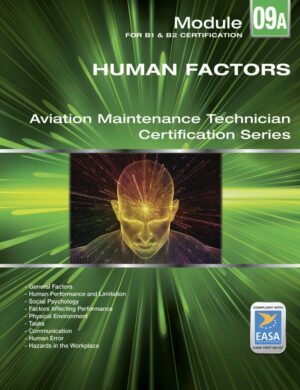 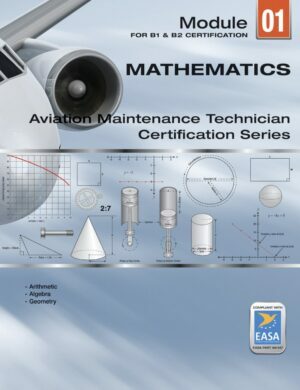 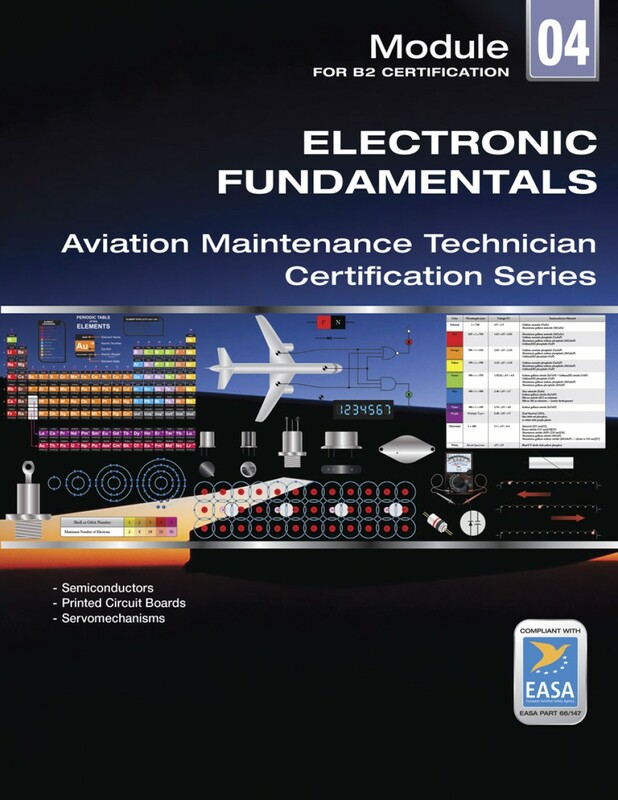 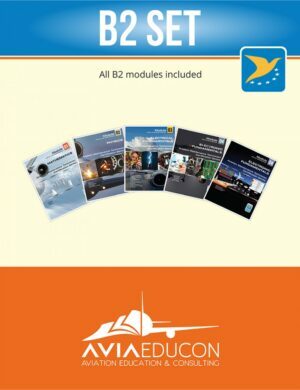 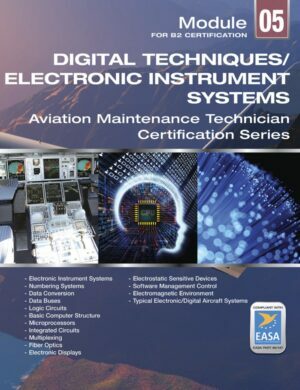 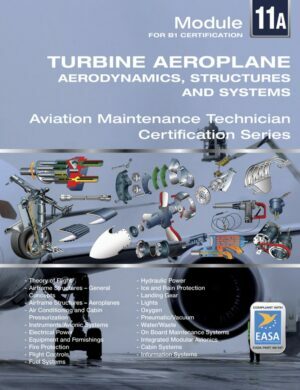 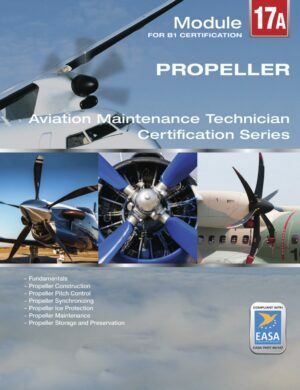 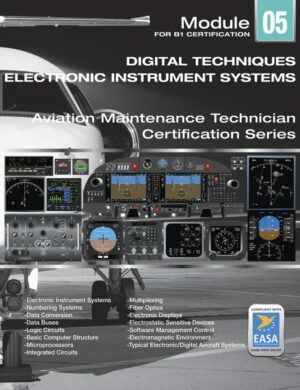 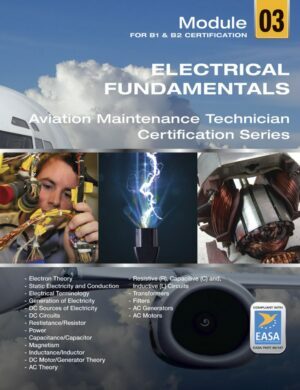 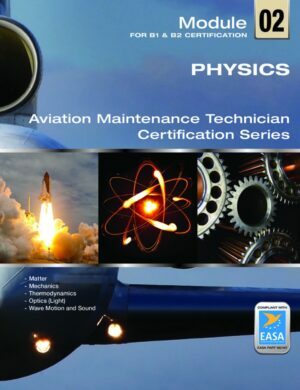 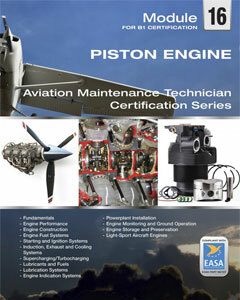 EASA Part 66/147 compliant Module 4 – Electronics Fundamentals written to the levels required for B-2 avionics student and the CertTEC U.S. avionics certification. 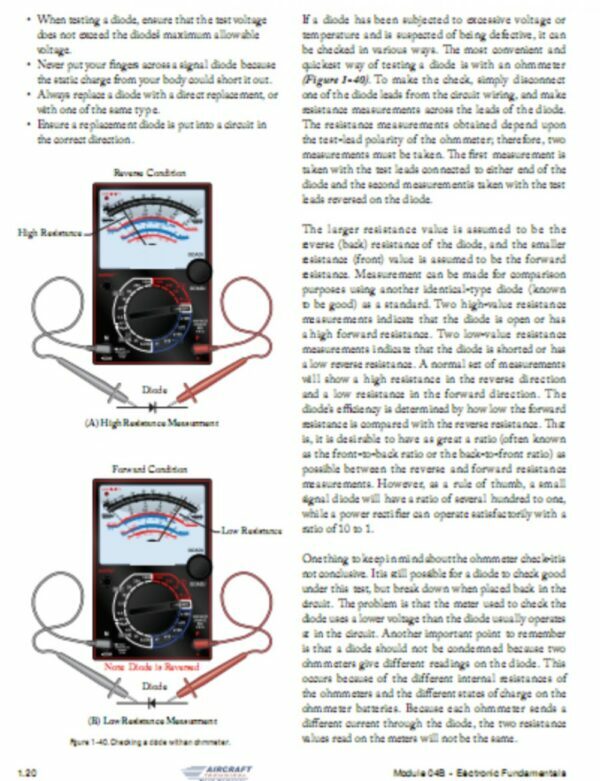 Diodes; diode symbols, characteristics and properties, diodes in series and parallel; characteristics and use of silicon controlled rectifiers (thyristors), light emitting diodes, photo conductive diodes, varistors, rectifier diodes; functional testing of diodes.Materials, electron configuration, electrical properties. 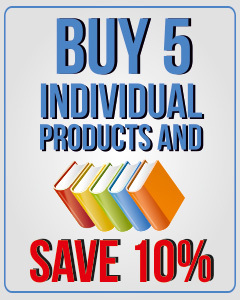 P and N type materials, effects of impurities, majority and minority characters. 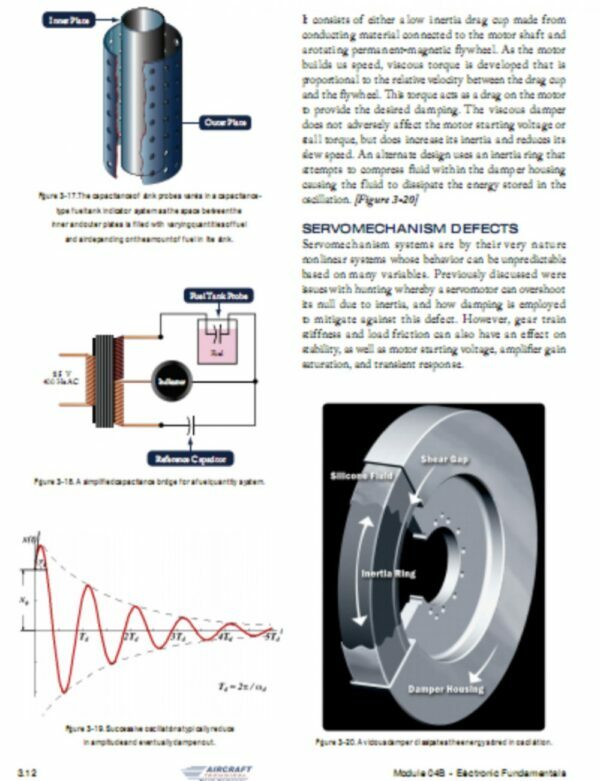 PN junction is a semiconductor, development of a potential across a PN junction in unbiased, forward biased, and reverse biased conditions. 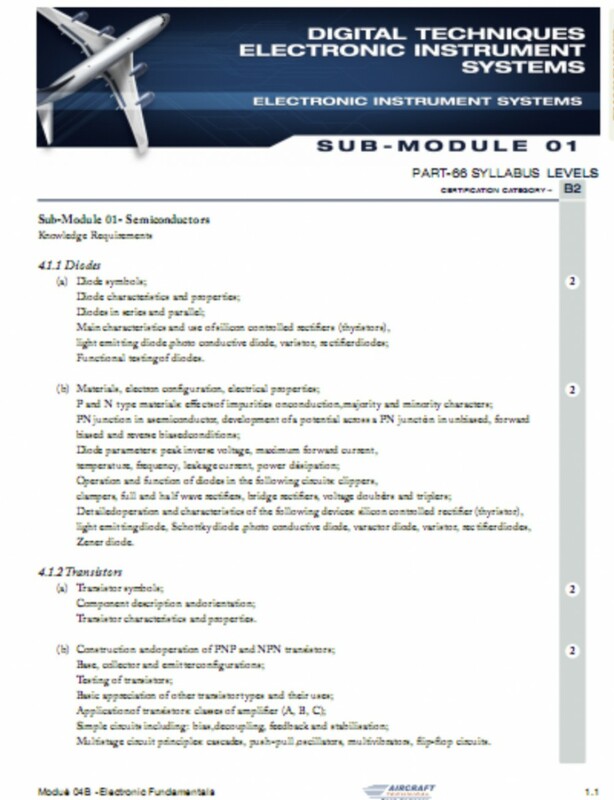 Transistor symbols, descriptions, characteristics, properties and orientation.